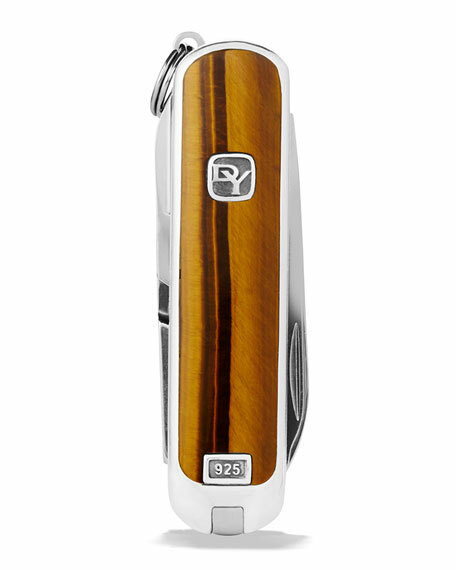 Sterling silver with Tiger's Eye inlay at front. 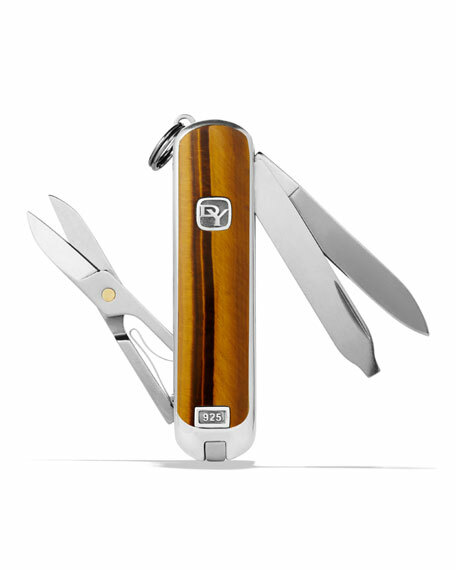 Knife body, 59 x 14mm. 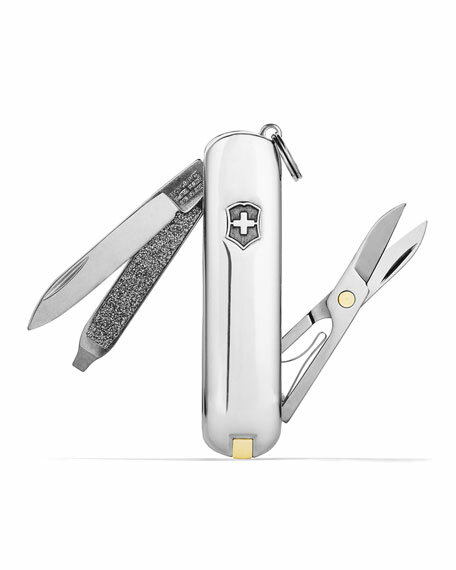 Swiss Army® is a registered trademark of Victorinox A.G.
For in-store inquiries, use sku #1584453.